Karen’s Kreamery would like to make your Special Event a memorable event. Our portable ice cream carts are completely self-contained and come in various sizes depending on your needs.Â We are able to serve up to several thousand people. 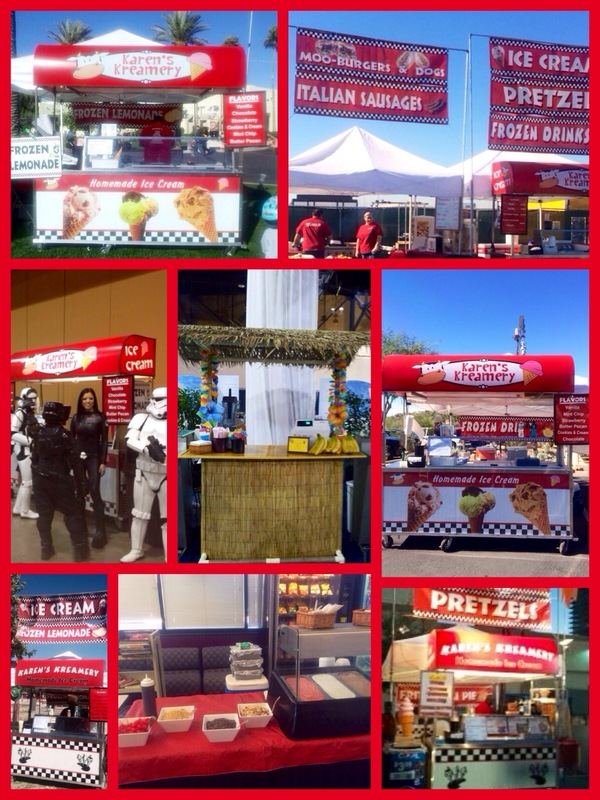 Set up can be to where your events are prepaid or your clients can pay as they go. Everything you need is supplied by us to make your event a success. Your ice cream can be served in a dish, cake cone or waffle cone. Click here to see the Catering Packages. If your event would like more than ice cream we are capable of grilling hamburgers, hot dogs, Italian sausages as well as serving meatball sliders, chips and drinks along with our frozen lemonade and frozen Arnold Palmer tea.